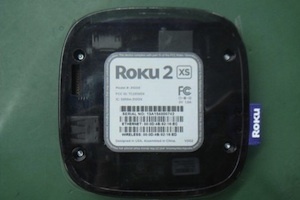 Roku 2 revealed. Thanks, FCC! 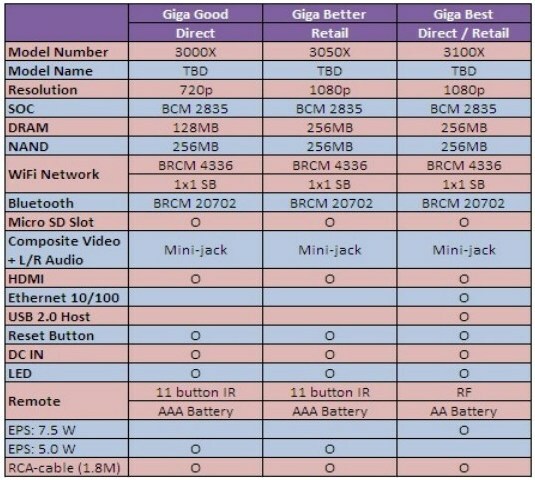 Details of new, next-generation Roku boxes have been revealed, thanks to an FCC filing that provides a picture and details some of the tech specs for the new device (hat tip to Engadget). Based on technical specs, it seems that if you already have a Roku box you’re happy with, the Roku 2 might not be worth an upgrade. But if you’re looking for a new media streaming box, you might want to wait for this version to be released. The most recent update to Roku’s broadband set-top boxes came last fall, when the company announced a new line of products that added 108 0p HD video streaming and a USB port for its high-end Roku XDS model. But unlike that release, which took a big step forward in available video quality and features like dual-band Wi-Fi access, this update seems to be mostly incremental. What is new is a sleek case that looks to be about the size of the Apple TV (s aapl) and might actually be smaller. There are a couple of other additions and subtractions to the different models as well. For instance, the bottom two tiers of the product have done away with Ethernet inputs (most likely to lower the cost of production), but all models have added Bluetooth capabilities. And it looks like the top-of-the-line Roku box will get a new RF remote. Each will also add a reset button, so that users no longer have to unplug the box if it somehow freezes up. Last month Roku announced that in addition to watching videos, users will soon also be able to play casual games like Angry Birds on its next-generation boxes. That’s probably where the Bluetooth functionality comes in, as it will likely be used for connecting the box to a new gaming controller. There’s also the possibility that it could be used to connect with existing touchscreen smartphones to be used as controllers. All in all, this update appears to be mostly a way to attract new buyers to its platform. With a new design and now major retail distribution in big-box stores like Walmart (s WMT) and Best Buy, (s BBY) Roku could add a whole bunch of new users by the end of the year.